History-meets-mystery as Codex uses family entertainment to unlock our ancient past. Each week 5 members of the public spend the night at the British Museum in London among its unrivalled collections of historical artefacts. 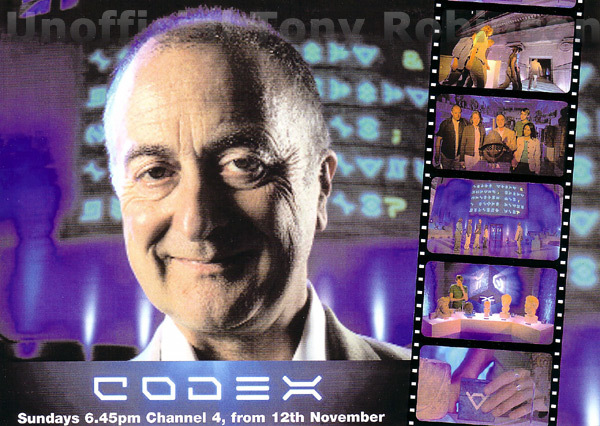 Their challenge is to decipher the Codex  a riddle written in a mysterious code. To crack the Codex, the team follow a trail through the Museum, from the moonlit Great Court through the galleries to the Mummy stores and other spooky places. En route they visit 5 major Artefacts on the theme of the week, and tackle a historical challenge directly related to each one. If they complete a challenge successfully and in time, 2 symbols in the Codex are turned into letters. As well as earning letters, the team is also whittled down in a series of Head-to-Head challenges, also on the theme of the week. After 5 Artefact Challenges, the sole surviving player returns to the Great Court, where the rest of the team  and the viewers  attempt to crack the Codex and decipher the riddle. Finally, the surviving player enters the world-famous Reading Room and must use the riddle to decide which of 5 similar artefacts displayed is the only one to which the riddle refers. If the finalist chooses the correct artefact, the team win the show, and a trip to a site of historical interest. 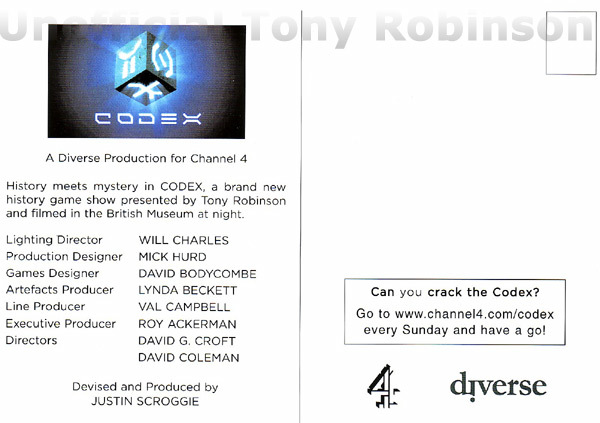 Channel 4 describes the show as a fresh and engaging combination of game show and historical mystery tour, a major collaboration between Channel 4 and the British Museum. 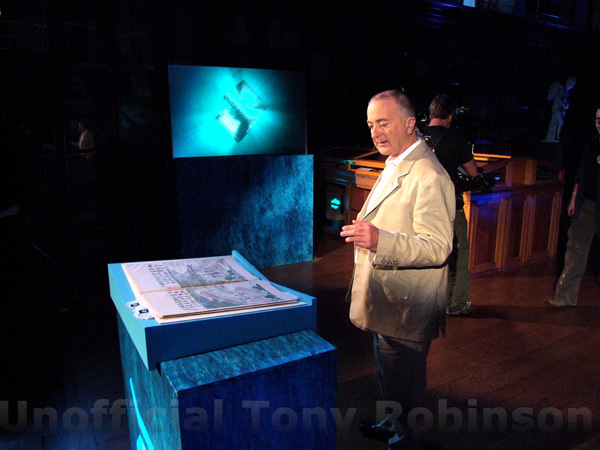 Tony Robinson guides the contestants and viewers through darkened galleries as each episode visits a different period of history, shedding light on artefacts from Ancient Egypt, Imperial Rome, Mesopotamia, Ancient Athens, China and the Anglo-Saxons. The series started with Mesopotamia and a special behind-the-scenes report with pictures and video is now online here for the China show. Click on an image to see a bigger picture.